If you want to understand Finland and its people, getting familiar with sauna is a good starting point. Sauna is such a big part of Finnish culture it cant be compared to anything else. 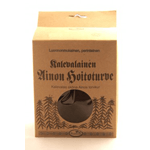 For Finns, it is a must at regular intervals, and if they go too long without sauna, theyll start feeling incomplete. For centuries, it has been a place for physical and spiritual cleansing, for getting bare in all senses of the word, and entering the core of humanity. Sauna is a way of life in Finland  toddlers take their first turns in sauna at only a few months old, and from then on, never stop. Sharing a sauna with someone is about bonding, about discussing real issues  no small talk. In Finland, major decisions get made in saunas, not boardrooms. Throughout history, there has been no Finland without sauna. It is said that there are enough saunas in Finland to easily accommodate all 5.4 million Finns simultaneously. Its true, since estimates place the number somewhere between two and three million. There are saunas in studio apartments, at summer cottages and public swimming pools, gyms and hotels, on boats and buses, you name it  Finnish embassies abroad have their own saunas built and theres even one inside the Parliament in Helsinki. Sauna is the only Finnish word that has been internationally accepted in other languages, and theres no other word Finns would want more recognition for  it is the perfect nominator for Finland, its people and culture. Having a sauna can mean anything from a quick 10-minute steam session to a social event lasting several hours. Especially at a summer house, you heat up the sauna and pop in and out whenever you feel like it with swimming, barbecuing, lawn games and general socializing in between. In the winter, the freezing temperatures provide interesting contrasts and supplementary activities to steaming hot saunas. Dipping in icy lakes and rolling in the snow are said to be good for blood circulation, but most do them simply for the incredible rush. Most saunas are private these days, but there are still public ones left in bigger cities. They used to be popular when workers didnt have their own and would gather to their neighborhood sauna for a good sit in the steam. Finns dont actively seek contact with people they dont know, but saunas have always been exceptions: in there, all are equal and strangers can get into unexpectedly deep conversations with each other. Still only a few decades ago, the sauna used to be a gateway in and out of this world: women would give birth in saunas, and upon a persons death, the body would be given a final wash there. Saying sauna is an important piece of Finnish culture is an understatement. As you become familiar with sauna, you might want to explore further. There are several types of saunas, the most common being electric, wood-heated and smoke saunas. Healing has been an integral part of sauna for ages, and there are scores of sauna-related wellness treatments available. The expression post-sauna (saunanjälkeinen) is a perfect excuse for avoiding doing pretty much anything in Finland. The feeling of being physically and mentally clean is something so blissful you want to enjoy it in peace as long as you feel like, and people respect that. 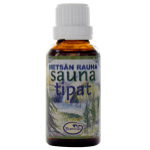 Frantsila has developed a range of products for the sauna. 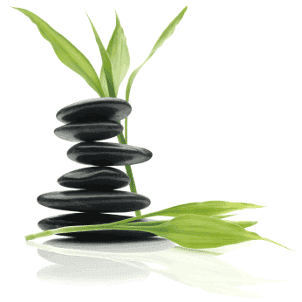 The Sauna Aromas create different atmospheres and enhance the enjoyment and health benefits of the sauna. 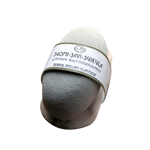 Finnish clay and therapeutic peat have traditionally been used in saunas for natural deep cleansing and skin care. 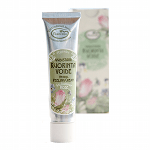 A facial treatment is ideal after the sauna and Frantsila organic cosmetics like the Herbal Peeling Cream, Herbal Clay Mask or Rejuvenating Facial Mask Powder, make this a particularly enjoyable experience. Frantsila brings you a piece of the Finnish sauna and wellbeing to wherever you are ! 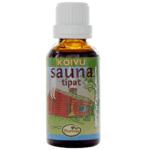 Traditional Finnish sauna scent, the saying goes if sauna and pine tar do not help, then nothing will. 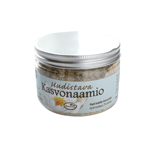 Birch is traditionally the most important scent of the Finnish Sauna. Dive into the Finnish forest with this sauna aroma combining genuine essential oils of spruce, pine and juniper berry, and birch leaf extract. 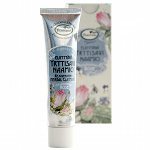 Discover more Frantsila products for the sauna here.